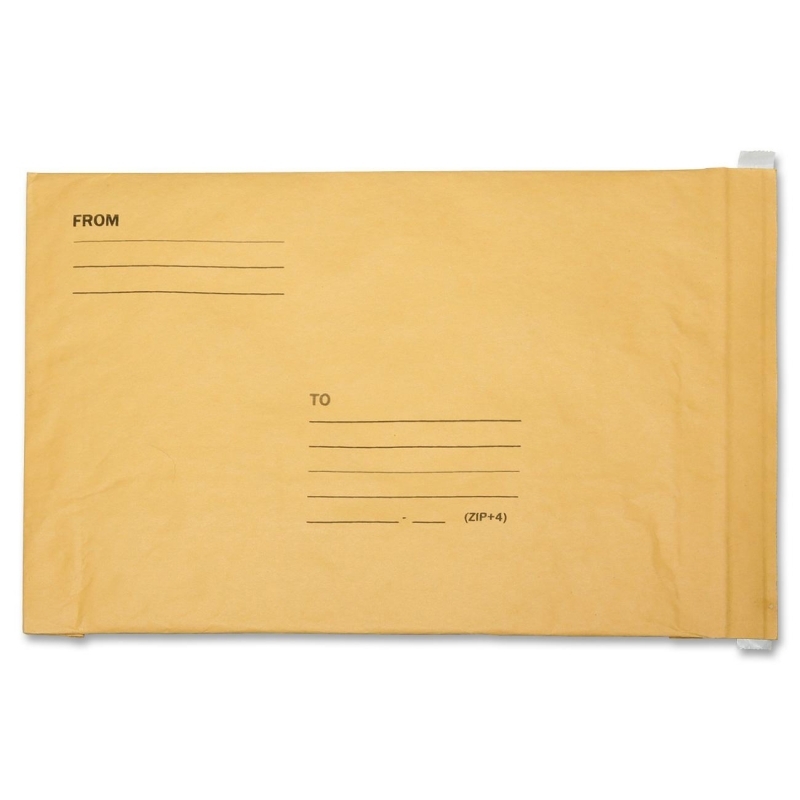 Bubble-lined mailers provide excellent cushioning protection for semi-fragile items. Fully laminated Kraft and air cellular construction make it puncture-resistant and water-resistant. Printable double Kraft material is used on the outside of each mailer. 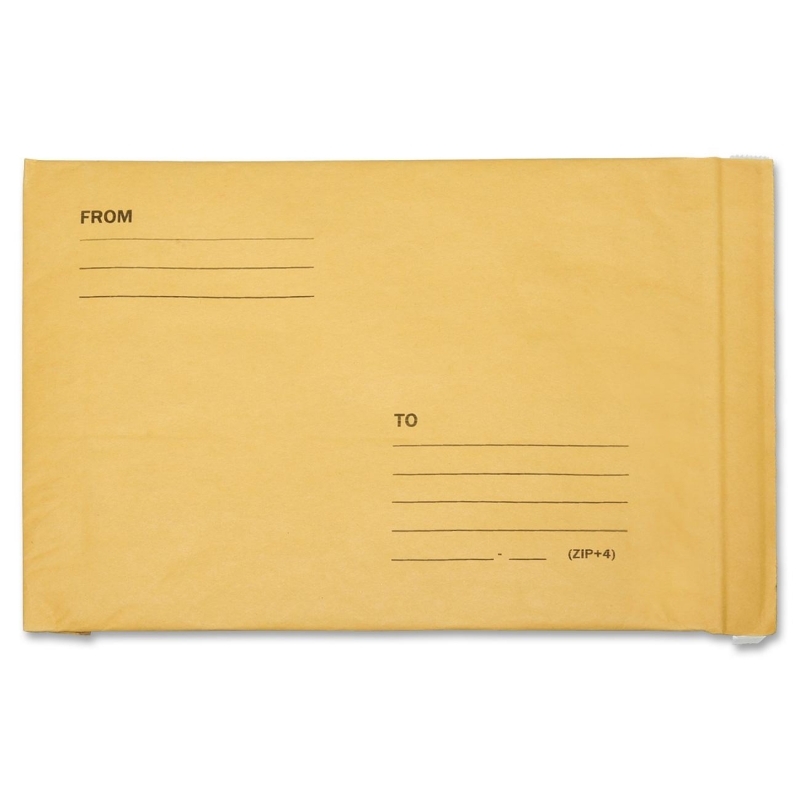 Self-adhesive flap closure extends the entire width of the envelope and requires no moistening to seal. Seamless bottom affords additional cushioning protection along with greater overall strength and safety. 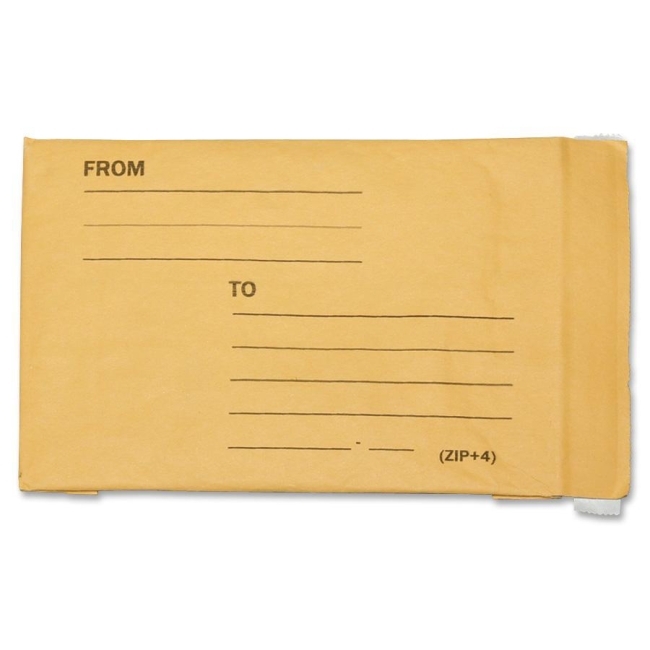 Mailers are made from 100 percent recycled paper with 10 percent post-consumer content. Bubble cushioning contains 10 percent recycled plastics.